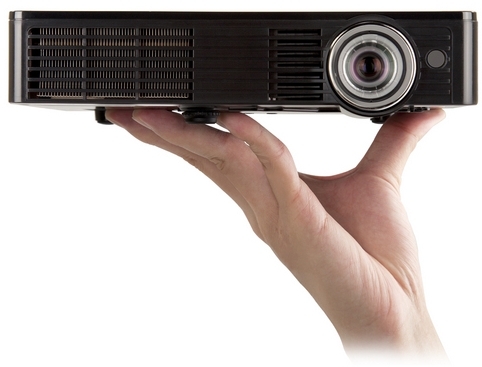 ViewSonic’s powerhouse WXGA PLED-W200 and PLED-W500 LED projectors pack 20,000-hour long lamp life in the palm of your hand. "Image(s) reprinted with permission from ViewSonic Corporation. 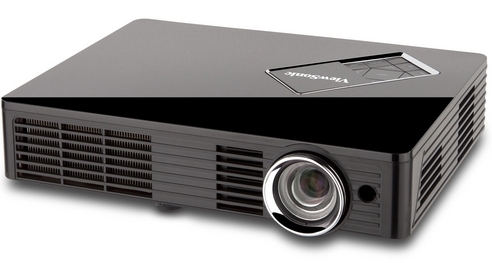 WALNUT, Calif. – September 26, 2011 – ViewSonic Corp., a leading global provider of computing, consumer electronics and communications solutions, today unveiled its brand new LED projector line, including the availability of the PLED-W200 and PLED-W500. Ideal for the business traveler or on-the-road presenter, this ultra portable and energy-efficient projector line features miniature form factors and 20,000-hour long-life LED light source. Both the PLED-W200 and PLED-W500 come 3D-ready with 120Hz frame rates for immersive 3D visuals. In addition to being stylish and lightweight, the PLED line doesn’t skimp on any features. In fact, these short throw projectors feature WXGA widescreen resolutions for large screen HD projection in compact spaces. Paired with USB port and HDMI connectivity (only available on the PLED-W500), Microsoft® Office® viewer functionality and an SD card reader, for a versatile assortment of ways for users to display documents, PDFs, videos, photos and other multimedia files without a PC. For additional multimedia file storage, the PLED-W500 also offers 1GB of internal memory. At less than one pound for the PLED-W200 and less than three pounds for the PLED-W500, these palm-sized projectors are ideal for slipping into a briefcase, laptop bag or purse for convenient presentation and transportation. Both projectors deliver brilliant color with high native WXGA resolutions ideal for 720p HD viewing, and 250 ANSI lumens on the PLED-W200 and 500 ANSI lumens on the PLED-W500. Teamed with integrated speaker and an assortment of connectivity options, users can present and enjoy everything from image slideshows to presentations in a PC-less, cordless setup. The PLED-W500 kicks connectivity up a notch with HDMI 1.3 support for simple connectivity to a Blu-ray® DVD player, tablet or other HD media device for a widescreen gaming or home theater experience. The PLED-W200 and PLED-W500 will be available in North and Latin America in mid-October with leading three-year limited warranties for respective ESPs of $499 and $699.